There are larger and more impressive looking BMW’s. But, the company takes the most pride in the BMW 5 series, and I feel, rightly so. A 530e performance plug-in hybrid and a forthcoming high-performance M5 model ensure BMW has everything it needs to go head-to-head with the Audi A6, Jaguar XF and Mercedes E-class. Due to very high standards in this class, whoever wins will have built the best car in the world. The 5 series first went on sale in the 70s. Since then, it has grown considerably in size. One tall adult can sit behind another without cause for complaint. It’s only really if somebody sits in the middle of the rear seats that things can feel cramped. With a firm centre backrest and a large lump in the floor to straddle, this middle perch is definitely the short straw as far as passenger comfort goes. Storage is excellent, whether it’s the large door bins or numerous storage trays for keys, wallets and phones. The 5-series is a saloon rather than a hatchback, but the boot opening remains a decent aperture. It’s a huge space, even if the floor is slightly narrow, so you won’t have a problem transporting a couple of large cases. Note though that the 530e plug-in hybrid loses a large chunk of boot space in order to accommodate the battery for its electric motor. To further extend the load bay the rear seats can be folded flat in a 40:20:40 split, but only if you specify this as an optional extra. Here the BMW shows how its claims of World’s best car might just be true. Most BMWs require a careful hand with the specification and options lists in order to deliver the kind of comfort you’d expect of a large BMW. What’s good with the 5-series is that you can go as far as putting 20in wheels on the car without making it as stiff as a board, provided you also specify the Variable Damper Control (VDC) adaptive suspension. It’s also supremely quiet on all but the worst road surfaces, with the only disturbance at 70mph being a light rustling of wind noise around the wing mirrors. BMW has gone to town with the seats too, and so in addition to the very accommodating standard and even better Sport items, you can specify an optional massage function that turns every journey into a trip to a luxury spa. This is another area where the car excels more than its rivals. The 5-series dash layout borrows heavily from BMW’s flagship 7-series, which is no bad thing. For a start material quality and the range of colours and fabrics available is almost endless, but it’s the way everything works so seamlessly that really impresses. Considering how much technology it’s got on board the 5-series is quite a task to use, whether it’s simple tasks such as adjusting the heating (done via a separate panel that seamlessly combines physical buttons with its own a touchscreen), or more complicated jobs like navigating the iDrive infotainment system. I would though skip the optional gesture control. This lets you wave your hand in front of the 10.2in touchscreen stereo to change the volume or accept phone calls, but in practice it’s little more than a gimmick. It’s also refreshing to note that BMW has retained its large rotary controller and a series of shortcut buttons for the iDrive, both of which make it easy to navigate through functions when on the move. Finally, a word for the optional and excellent head-up display, which projects a full colour representation of the speedometer and satnav on to the windscreen. BMW has long been at the front of the field for such systems, and the 5-series is no different. Good news for people who are filled with dread at the thought of parking: this car can do it for you. Opt for a model with the requisite cameras and sensors and the car can guide itself into a space with minimal input from the driver. 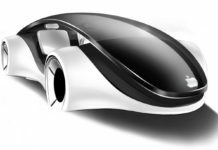 You can even specify a remote control function that lets you get out of the car and move it forwards or backwards – if that sounds weird then it is, but it’s certainly useful for getting this big car into tight parking space or garages. The 5-series can also be ordered with Driving Assistant Plus technology that allows it to drive semi-autonomously on the motorway, holding a constant gap to the vehicle in front and controlling its steering to stay within a lane. Alternatively, when you fancy taking control yourself this BMW is also painless to drive. Of course, it’s a large car and it’s hard to judge where the front and rear of it end (thankfully sensors come as standard), but over the shoulder visibility is pretty good, and the controls all operate so slickly that you always know exactly how the car is going to respond. The eight-speed automatic gearbox is superb, and the option of having xDrive four-wheel drive turns the 5-series into a true all-weather machine. If there’s one area where the modern 5-series doesn’t comfortably outdo its predecessors, this is it. The issue, one suspects, is that all that size and technology adds a lot of weight, which in turn affects how a car handles. That is not to say that a 5-series is dull to drive, but a Jaguar XF remains a more engaging car on your favourite B-road, with nicer steering than the BMW, a more responsive nose and superior balance. BMW fights back with some of the best engines in this class, particularly if you opt for one of the six-cylinder units. These combine a refined noise with truly impressive performance. 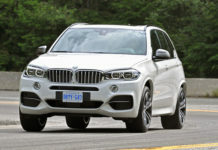 However, even the 2.0-litre 520d diesel provides brisk performance. You get a warranty that lasts for unlimited miles over its three years. This matches Mercedes and beats Audi, which limits its warranty cover to 60,000 miles. 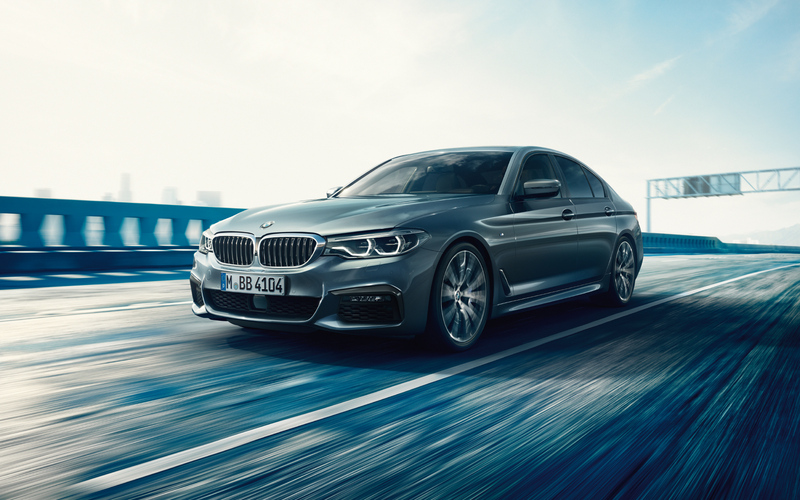 Opt for the 530e Performance hybrid and the official figures suggest you should be able to exceed 140mpg, but that’s only if you regularly plug-in to make use of its pure electric range of up to 30 miles. Fail to do so and the economy can easily drop by 100mpg. 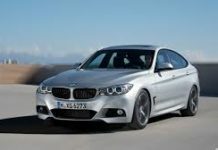 For most drivers, then, the 5-series will be at its most efficient in 520d Efficient Dynamics guise, in which it returned more than 70mpg in EU fuel economy tests. True, you should expect closer to 45mpg in normal use, but that still places it marginally ahead of a similarly powerful Mercedes E-class or Jaguar XF. The six-cylinder 530d can still be made to return more than 40mpg on a long run, which is impressive considering the performance on offer. All models have six airbags and an autonomous emergency braking system that can automatically apply the brakes if it thinks you are going to collide with another vehicle or pedestrian. BMW’s Driving Assistant option then bundles together most of the safety features you could wish for, including lane departure warning, blind spot monitors and a function that closes the windows and sunroof in an emergency braking situation to ensure occupants are protected as much as possible.